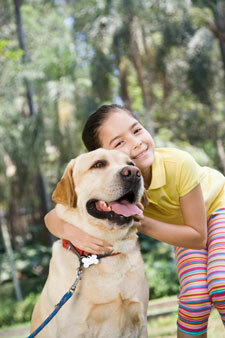 Just like human chiropractic care, animal chiropractic care is all about the nervous system. Through care, you can help bring your animal’s body back to a normal, balanced state. The spine protects our spinal cord making it very important to make sure we do everything we can to keep it healthy! The spinal cord is part of the nervous system and is responsible for controlling every other system in our body to help us heal. By helping support their nervous system, you give your pet a better chance to self-heal. Animal chiropractic utilizes small amplitude, high velocity thrusts to areas of spinal and extremity dysfunction. This allows for proper function of the nervous system resulting in enhanced performance and quality of life. As you know, your animals cannot communicate when they’re hurting. By paying attention to behavior, body language and visual cues, you can pick up on hints that your beloved animal may not feel the best. The musculoskeletal and neurological systems in horses and dogs are very similar to that of a human. Any sudden traumatic or ongoing repetitive stress placed on these systems can result in functional problems and symptoms in much the same way as humans. If your furry friend competes in agility, fly ball or participates in dog shows, chiropractic care can help them perform better. For larger breeds known for hip dysplasia or arthritis, chiropractic care can help them feel like a puppy again. Behavioral changes are often more noticeable in horses, indicating something may be wrong. For your horses that go trail riding or pleasure riding, chiropractic care can help correct their gait. Race horses often get adjusted to stay in great shape and keep them healthy and happy.